The City of Brotherly Love felt like the Big Easy on Theresa & Bret’s wedding day! Theresa & Bret were married in a beautiful ceremony held at the Liberty View Ballroom of Philadelphia’s Independence Visitor Center. Although the couple currently reside in the Greater Philadelphia area, it was important to the couple that they incorporate the wedding traditions from Bret’s hometown of New Orleans into their special day. The team from Allure Films was happy to capture every last detail on film. The Independence National Historical Park felt like the French Quarter when Theresa & Ben twirled their parasols in the air, leading a “Second Line parade” to the Ballroom at the Ben after exchanging their vows. A Second Line parade is a New Orleans wedding custom: traditionally, the “first line” consists of the wedding party and a brass band, while the rest of the wedding guests create a “second line” of revelers whipping their handkerchiefs in celebration. Not only was this a sight to see, but the band was fantastic! Just like the first half of Theresa & Bret’s wedding, the reception at the Ballroom at the Ben was nothing short of sensational. The ballroom was completely adorned in gorgeous floral arrangements and table centerpieces by the talented artists of Lamsback Floral Decorators. Guests were served cocktails, appetizers, and a delicious main course prepared by the awesome culinary team at Finley Catering. After the couple’s first dance, the dance floor was filled with everyone moving to the tunes of yesterday and today performed by EBE’s Milan 77. Congratulations Theresa & Bret. As they say in N’awlins “Laissez Les Bons Temps Rouler!” Translation: Let the good times roll! Contact a representative from Allure Films about our wedding videography packages today. This Ballroom At The Ben Wedding Video Is A Must-See For All Brides To Be! Join Amanda and Michael for a preview of their whimsically romantic day with this captivating Ballroom At The Ben wedding video! This amazing August wedding could not have been any more perfect – along with a fabulous couple came perfect weather and a stunning venue. Finley Catering’s Ballroom At The Ben exceeded expectations as it always does. With the breathtaking décor by Beautiful Blooms, this wedding was truly something to talk about! The Allure Films team enjoyed being a part of Amanda and Michael’s special day. From the first reveal to the first dance, there were so many unforgettable moments with our bride and groom. It was great to document them in several scenic spots around Philadelphia. Guests enjoyed being a part of Amanda and Michael’s big day! EBE’s Rio had everyone dancing from beginning to end! 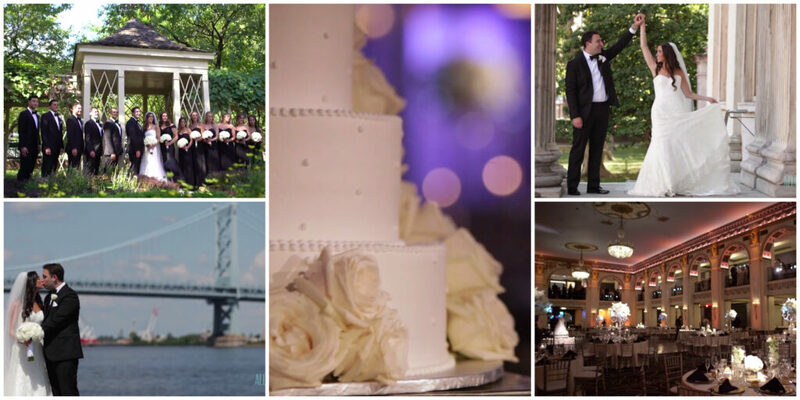 We were thrilled to be a part of this beautiful Philadelphia wedding. Click here for more information on Allure Films’ selection of wedding videography packages. You Have To See This Breathtaking Wedding At The Ballroom At The Ben! What a wonderful day this turned out to be! 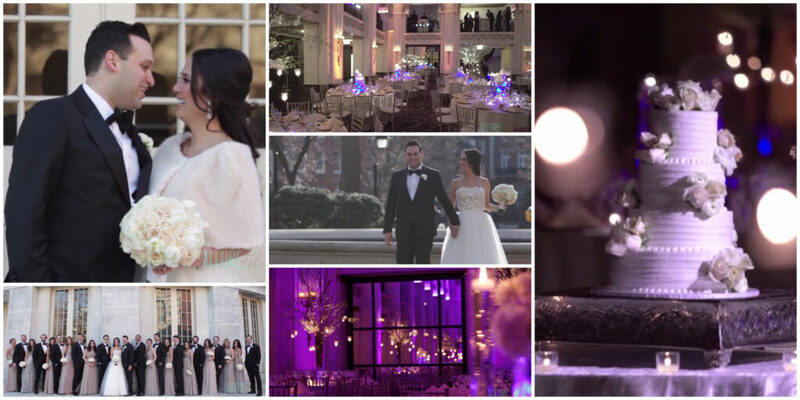 Allure Films was dazzled by Amy and Jason’s Ballroom At The Ben wedding. Carl Alan Floral Design did an amazing job transforming this already beautiful space into a jaw dropping background fit for royalty…or for a couple as lovely as Mr. and Mrs. Weiss! After the happy couple’s touching First Look, they stepped into the ballroom to exchange their vows. There was hardly a dry eye in the building as they expressed their love for each other under the chuppah. While guests enjoyed cocktail hour, the ballroom was magically rearranged into the reception hall, where everyone enjoyed delicious food and plenty of dancing all night long. We were so thrilled to be a part of such a great wedding! Congrats Amy and Jason! Allure Films | Ballroom at the Ben | Alison Conklin Photography | CTO Park Ave | Carl Alan Floral Designs LTD.